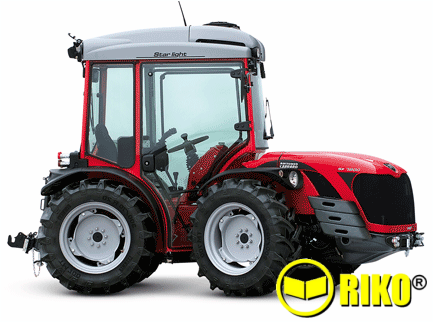 71HP & 87HP, articulated steering, Alpine Tractor, 2 Year warranty. Articulated Steering - Mechanical 16Fw X 16Rv gearbox with synchromesh shuttle, independent PTO. The SX - S Series - is a single-direction articulated tractor with isodiametric wheels. 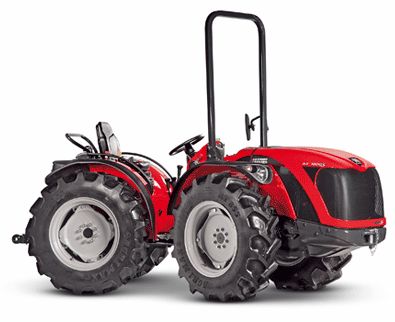 Consistently with the family-feeling focus of the top-of-the-range AC tractors, the new design helps improve both appearance and operating comfort. The articulated chassis and the narrow track assure extraordinary operating performance in small spaces, along the corridors between rows and when turning headlands. The 4 driving wheels assure constant adherence and drive in all situations.